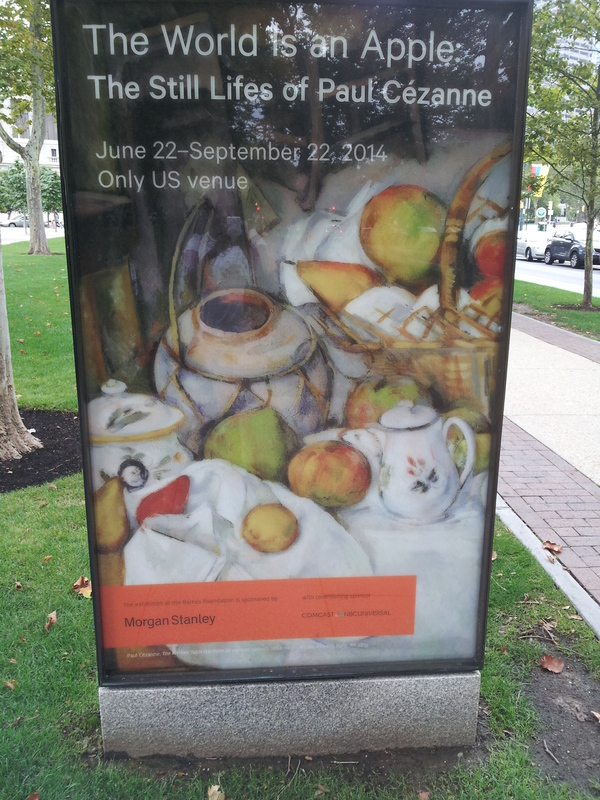 I knew very little of Cezanne when I stepped into the Philadelphia Museum of Art May 15, 2009 to see the exhibit Cezanne and Beyond. I recall the advertising for this exhibition and feeling like I could not miss this exhibit – which is what the museums want. At the time, I had a friend visiting from Europe. 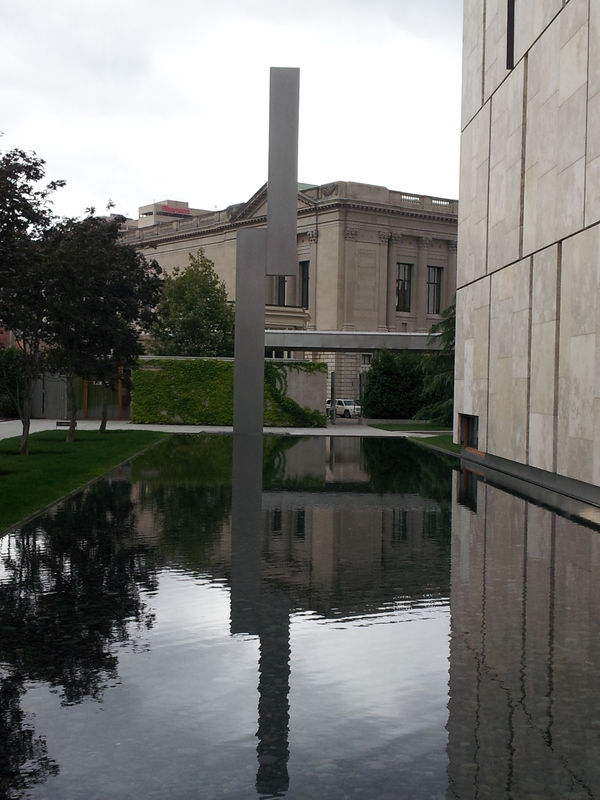 Philadelphia is chocked full of things to do and the Philadelphia Museum of Art was high on the list of places to visit. European and Marxist, my friend brought a refreshing perspective to Cezanne’s work. 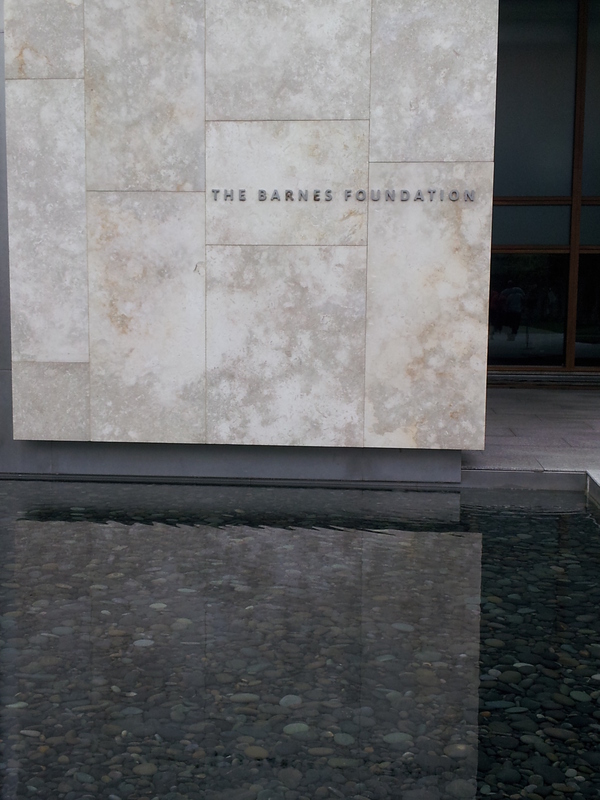 On August 3, 2014, I stepped into the new location of the Barnes Foundation to see another Cezanne exhibit, The World is an Apple: The Still Lifes of Paul Cezanne. As I walked through the exhibit, I had the same feeling I did five years ago. I was not impressed and could not fully grasp the importance or ‘development’ of the artist through the work in the exhibit. The beauty and complication of art is that its meaning is open for interpretation. I heard one woman saying one painting was “creepy.” I did not see anything creepy in the entire exhibit. I left the museum contemplative. I recalled conversations I had with my Marxist friend in 2009: “what’s the big deal, it’s men playing cards?” He explained that Cezanne did something through art that many had not done at the time – portray the average, working class person. Cezanne in fact rejected the bourgeois (although one could say that art appreciation is bourgeois). Unsatisfied with the work of his contemporaries, he strove to set himself apart and bring something different to the art world. Style, Class, & Professionalism from our perspective.